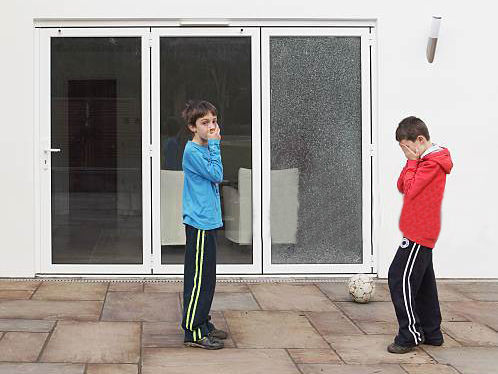 Replacement of fogged or broken window glass on site. 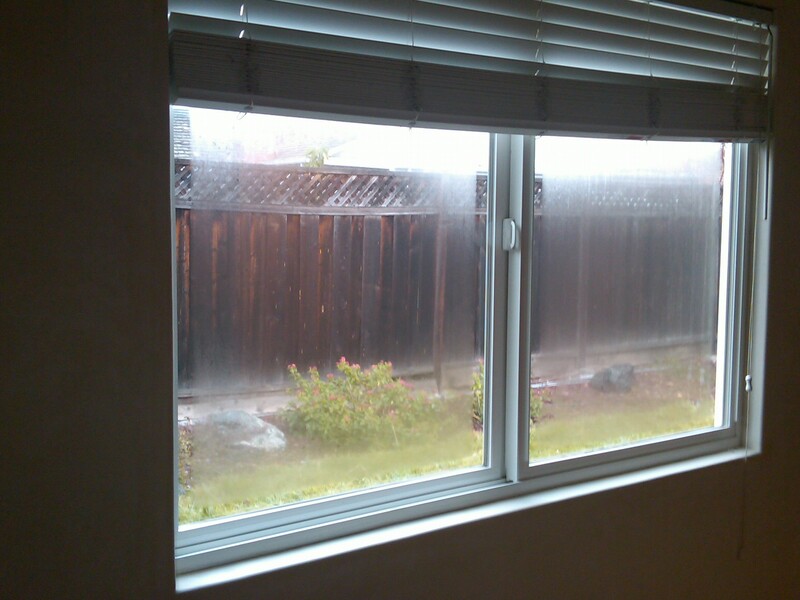 Why do windows fog up? During production of a double paned insulated window, there is typically a metal insulating spacer that is designed to keep a vacuum between the panes keeping moisture and foreign matter out. 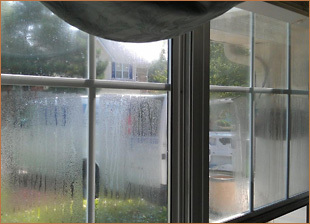 By removing both the air and moisture, the space between the panes should be dead and efficiently insulated. After a period of time, the unit is continuously subjected to expansion and contraction from hot and cold temperatures. This results in the glass releasing itself from the insulator and allowing both air and moisture to enter between the two panes. This can permanently damage the seal. Initially you may recognize fog on a cold humid day. This continuous reaction progresses to a weepy, wet appearance. Over time, this can result in permanent etching of the glass.